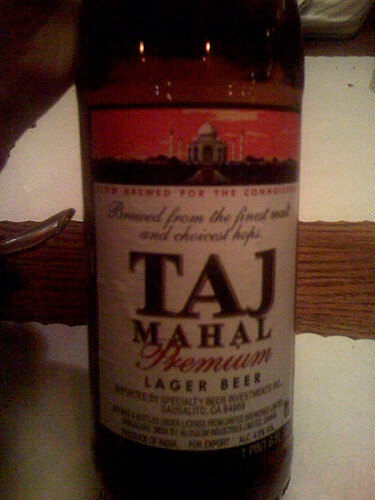 The first time I had Indian food I was on a business trip in Ann Arbor, Michigan. This was second business trip I’d ever been on and seeing Detroit in all it’s decaying glory changed me forever I think. I vividly remember driving around in a landscape as alien to my own as the moon might have been. The blight was a shock, but more than that I still carry with me the clear understanding that our country had failed these people somehow. That night we stopped at an Indian restaurant for dinner. I remember thinking that this was a perfect cap to the day – from dawn to dusk I had been a fish out of water, and so I sort of hunkered down to try and get through another completely new experience. After we were seated, the big group I was with began to haggle over what we’d order and I felt like such a fool saying I hadn’t ever had Indian food before. When the steaming bowls of ochre, mustard, and bright orange food arrived my companions (and those at other tables) seemed so much more sophisticated than I was as they ate amoeba shaped bread things, dribbled chunky jam stuff called chutney on everything, and said the names of the dishes with nary an accent (at least to me). Tikka what? But after my first bite – oh the food, that wonderful, aromatic, intensely flavored food. It was like I’d found nirvana on a plate. Don’t get me wrong. I’d had tasty food in Salt Lake, but this was wholly different. It was like eating the real Mexican food I’d eaten in El Paso after my dad moved there when I was 15. There were spices and flavors I couldn’t identify because they didn’t exist in the land of McDonalds, Denny’s, and The Spaghetti Factory I came from. I admit it. I was instantly addicted. And then I came home and went into withdrawal. From that moment on every time I’d travel outside of Salt Lake I’d work hard to get a fix (sometimes ridiculously hard). But luckily for me Salt Lake soon got an extraordinary dealer in briyani, chutney, and naan. Bombay House has got to be one of the very best Indian restaurants in the United States. I’ve had Indian food in a lot of places since that first time, and I swear now I’d rather wait to come home than tempt disappointment anywhere else. Bombay House is currently in an old building originally built for an Outback Steakhouse (that mysteriously went out of business several years ago). Previously, they were in a much smaller space a little farther north on Foothill Blvd. and I highly approve of the change. There is still some wait most nights after 7:00 pm, and weekends it gets packed. That said I would gladly wait an hour to get my hands on a Taj Mahal and some of their heavenly lamb briyani. I am (as I mentioned) completely addicted. Typically, we get an order of the briyani, the daal maharani, a couple of naan (garlic and plain) and walk out of there stuffed to our gills. I’ve tried all the lamb dishes and if you like lamb, you’ll be happy with any of these. From what I’ve heard they source it locally from Utah’s very own Morgan Valley Lamb (which reminds me very much of the lamb my grandfather used to produce on his farm). I do think sometimes the chicken can get a bit dry, but if you really want chicken get the chicken tikka masala. It is yummy. I have to admit I’m a bit bugged by a recent development though. It used to be that when you ordered raita or the three chutney sampler it came along with your meal at no charge. Now they charge $1.50 for each item, so it’s an extra $6.00 bucks for these essentials. I’ll pay it of course, but I’m still grumbling about it. I do like one other recent change. Now they take your order on little hand held devices and bring your order out on a rolling cart. Gone are the days of long waits after you order and the shocking “slap everything down on your table all at once because the dishes are hot!” service. Bombay House gets my highest praise. Like Indian food? Go here. Never tried it before? Go here…but be warned, it’s highly addictive.